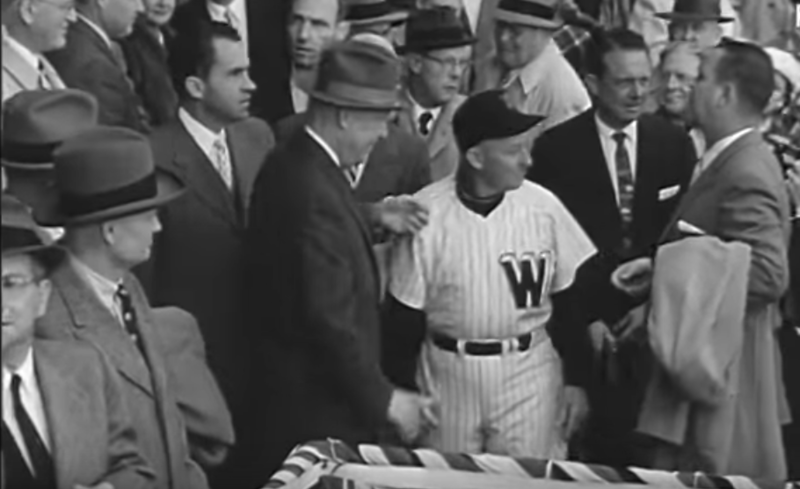 Back in the olden days, Washington always hosted Opening Day on Opening Day and often, the president of the United States threw out the ceremonial first ball. Since William Howard Taft initiated the tradition in 1910, 14 of his successors have made at least one visit to Griffith Stadium, RFK (nee DC) Stadium or Nationals Park, most recently in 2010. Starting with Woodrow Wilson and all the way through Lyndon B. Johnson, newsreels captured the festivities. DC baseball didn’t last long after the newsreel era ended. Richard Nixon’s 1969 first ball isn’t yet on youtube. The next five presidents served during the interregnum between the AL Senators and NL Nationals. More recent footage includes other opening ceremonies and highlights.